Welcome to coverage of the Berg Adventures International Kilimanjaro July 2007 Lemosho Expedition. Over the next few days, we'll be bringing you continuous coverage as we attempt to reach the summit of Mt. 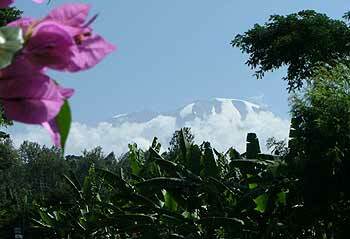 Kilimanjaro, the highest point on the African continent. We hope you'll join us on this adventure of discovery. August 5, 2007  Double celebration at the trailhead: End of a great trip and Joe’s birthday! August 3, 2007  Mark & Joe make it to the Summit! July 28, 2007  The Adventure Begins!